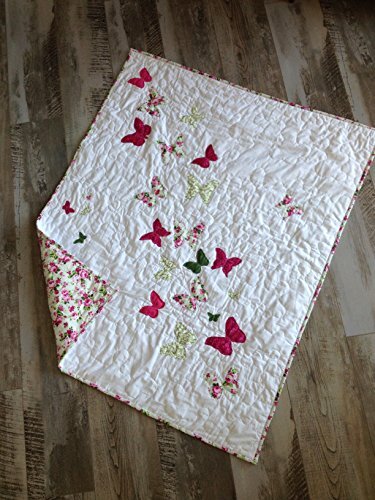 This gorgeous baby girl butterfly blanket is completely quilted and ready to flutter into the nursery! Pair this quilt with pink, green, or white bedding. We can add an embroidery name to make it a personal baby gift. If you have any questions about this product by Createdbymammy, contact us by completing and submitting the form below. If you are looking for a specif part number, please include it with your message.